The Kanger EMOW / Aero MOW Replacement Tank with redesigned Airflow Control! The Kanger Aerotank MOW offers the same great features and performance as the Kanger Aerotank but with a redesigned airflow valve and EGO/EVOD threading. The Aerotank MOW will fit perfectly on the Vision Spinner II battery and the Kanger EMOW battery. The Kanger Aerotank MOW utilises Kangers redesigned dual coil atomiser heads for an outstanding vape and to further prevent leakage. The Kanger Aerotank MOW delivers a vape experience that is BIGGER, SMOOTHER and MORE VAPOURLICIOUS than many other styles of clearomizers. 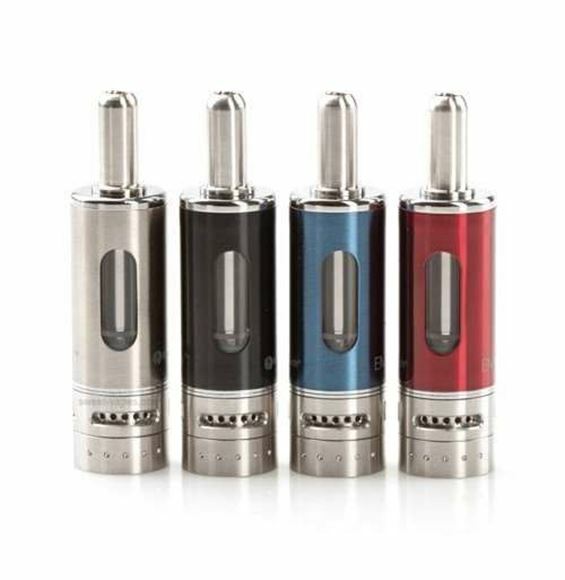 The Kanger AEMOW / Aero MOW Clearomizer is a stainless steel & pyrex glass clearomizer with built in airflow control. It has the same airflow control on the Genitanks, or V3 airflow, an open design so you can close off 1 through 5 holes. The Mow is 16.5mm wide making it a perfect for all your eGo sized batteries. The Aerotank Mow uses the Kanger Upgraded Dual Coils. You can find them here -> Kanger Dual Coils.